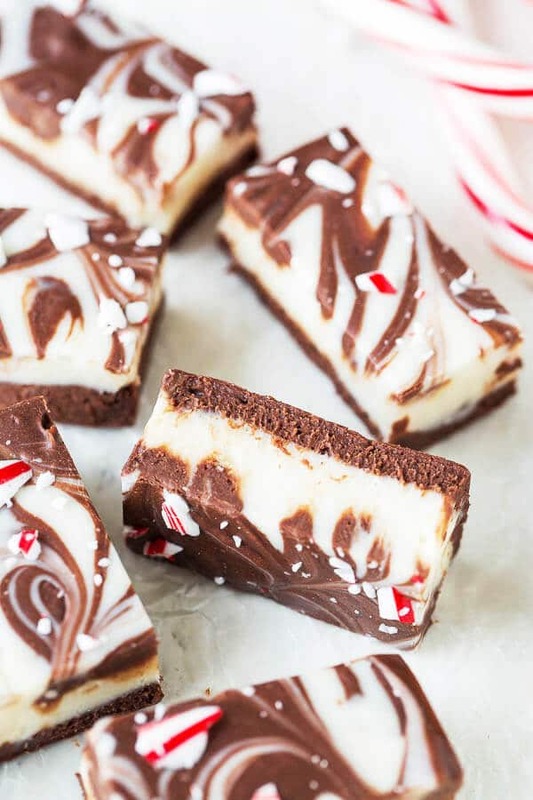 Double chocolate peppermint fudge – one of the best seasonal treats ever! These festive fudge bites are rich and decadent, perfect edible gift to share with friends. 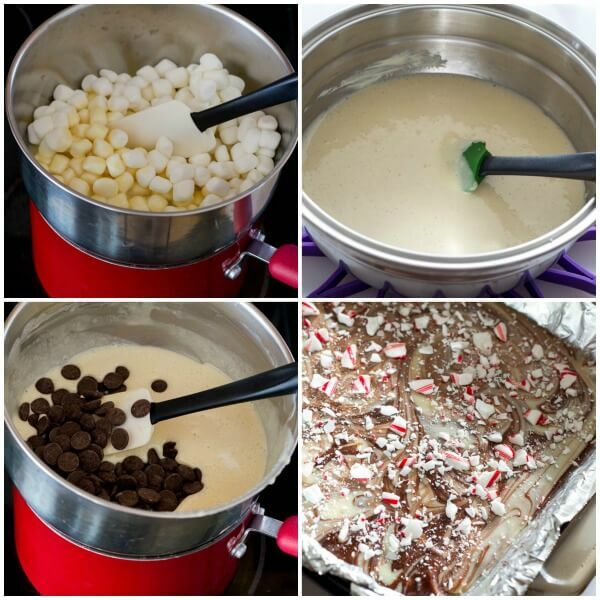 These little bites have all things sweet: white chocolate, sweetened condensed milk, marshmallows and candy canes! Man, I told you they’re indulgent, and make perfect edible gift. There is no way you can eat the whole batch by yourself. What makes this fudge so special? The recipe is pretty straightforward and foolproof. But one thing to keep in mind is that you need to hurry between the step 7 and 8, because you want to pour white chocolate layer over dark chocolate layer before it sets. 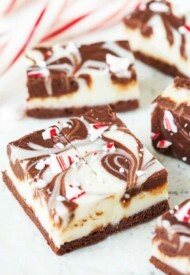 Oh and those crushed peppermint candy canes are just an icing on the cake fudge. Quick question… Have you ever wondered if those sharp candies are actually edible with soft baked goods? I always wondered about that myself. They seem so sharp, you know? But let me tell you, they’re not only edible, they actually add nice texture to each bite, and not as razor sharp as they look! Did I convince you to make this for your holiday treat tray? I really hope so, I know you’ll love it! Have a wonderful weekend! Thanks for stopping by. This double chocolate peppermint fudge is loaded with all things sweet. Super rich and decadent, the festive fudge bites are meant for sharing. Line 8x8in (20x20cm) baking pan with foil and butter the bottom and sides of the pan. Place the peppermint candy canes in a ziplock bag and crush the candies with a rolling pin. In a double boiler, combine marshmallows, condensed milk and vanilla extract. Melt everything over simmering water, stirring frequently, until smooth, about 10 minutes. When the mixture is nice and smooth, pour half of the mixture into heat-proof bowl and add chopped white chocolate. Return the marshmallow mixture back on the double boiler, add chopped bittersweet chocolate and stir until the chocolate is melted and the mixture is smooth. Pour the most of the dark chocolate mixture into the prepared pan, reserving a few tablespoonfuls. Now, quickly put the marshmallow mixture with white chocolate on the double boiler, add peppermint extract and stir until the white chocolate is melted and the mixture is smooth. Pour the white chocolate mixture over dark chocolate fudge. Then drop the reserved dark chocolate mixture on white chocolate mixture. And using a toothpick, swirl the mixture to create beautiful swirled effect. Sprinkle the crushed peppermint candy canes on top. Let the fudge cool and set for few hours, or overnight. Cut into small pieces and serve. You can make this fudge in 9x13in pan too. They’ll just come out thinner. This recipe was originally published on December 5th, 2014. This looks delish – you are one of my favorite baking blogs, BTW 🙂 I have made numerous of your macaron recipes that were fabulous. Thanks for sharing! Hi, Tiffany! 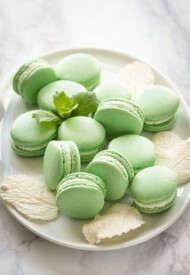 So happy to hear you love my macaron recipes and enjoy my blog! Thanks for stopping by and dropping a note. And please share your photos when you make my recipe. You can submit the pictures from this page. Thanks! Oh wow! You could TOTALLY sell these!! Ha! I totally could, couldn’t I? Hehe Thanks, Gigi! This recipe definitely puts me in the holiday frame of mind! These little morsels are putting me in a holiday mood!! Perfect for a party or cookie swap. Definitely perfect for gifting and parties! Thank you, CakeSpy! Yum, this looks so delicious! And what gorgeous pictures! Love! What a beautiful looking holiday fudge! I love how easy to make, but festive it is! Pinned and will try it! I have been looking for a delicious (and festive) fudge recipe to make this Christmas and think I have found it. 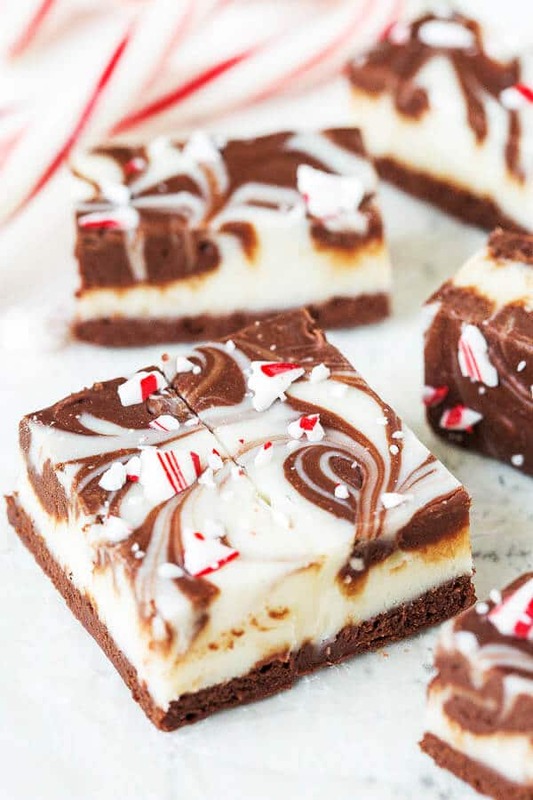 Loving the look of this peppermint fudge and I bet it tasted even better! Big fan from Canada! I love all your yummy recipes and fabulous photos!